Alexandria Carpet One Floor & Home's showroom in Alexandria, Virginia, has the carpet and flooring to make your dream home a reality. With expert advice and professional installation we help you find quality products for your lifestyle within your budget. Hardwood, tile, laminate and the latest in luxury vinyl tile and vinyl plank are available. Come in and see us today to get started with your renovation. Welcome to Aria Flooring & Remodeling! 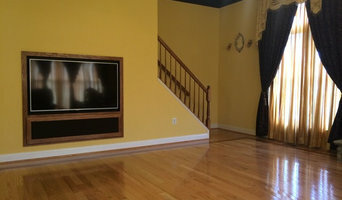 We are your local solution for flooring and remodeling needs. Aria Flooring and Remodeling is located at 12860 New Hampshire Ave in Silver Spring, Maryland. Our showroom is designed to let clients experience first hand the many textures of carpet, hardwood, ceramic tiles, vinyls and laminates on display. We know how important choosing the right flooring is for you! Let us take you through each step of choosing flooring that is perfect for you, your family or your business. We are conveniently located in the Meadowood Shopping Center (very easy to spot as you are driving by). Take the first step and come on in to have your flooring needs taken care of in a professional and efficient manner! Welcome to Congressional Floors & Painting, an American owned and operated business with more than 20 years of commercial and residential flooring experience. We offer a variety of flooring materials (including carpet and rugs, hardwood, hard surfaces, and rubber flooring) each in various styles, from the top manufacturers in the industry. We use a range of installation techniques to complete your ideal space. Our professional painting services compliment our flooring focus — our paint team handles indoor and outdoor painting, specializing in commercial and tenant spaces. At Tony's Floors LLC, your satisfaction is our main priority. Since our business started, quality has been our focus. By working with the best materials in the industry and employing the most experienced and meticulous contractors, we are able to deliver solid and long lasting solutions for everyone. Founded in 1981, Royal Floors is a locally owned and operated full service home remodeling contractor. We are proud to offer the very best in craftsmanship. Our interior design consultants and general home contractors have over three decades of experience in Herndon, Virginia and surrounding areas. Our strength lies in our experience and, with our 100% satisfaction guarantee, we are confident that you will be fully satisfied with our work. 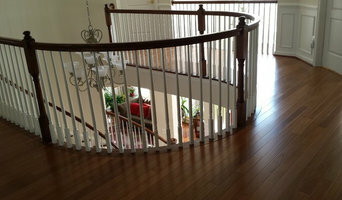 We offer the finest selection of hardwood flooring and carpet for both residential and commercial clients. We specialize in hardwood flooring, hardwood refinishing, and carpet cleaning, but we also offer carpet cleaning and painting services for the interior and exterior. Our expansive selection of floor coverings includes hardwood, tile, ceramic, laminate, natural stone, wall to wall carpeting, cork, and bamboo. Our knowledgeable staff is here to offer interior design ideas that will help you renovate and remodel while staying within your budget. Our reputation for quality work, responsiveness, and competitive pricing have been the key factors in our success. Beautiful BedroomFrom major remodeling and repairs to small interior design projects, we complete the job from start to finish with high quality and outstanding customer service. The experts of residential and commercial makeovers are at your service. Trust us to give your bedroom, bathroom, living room, or your office space a beautiful makeover. 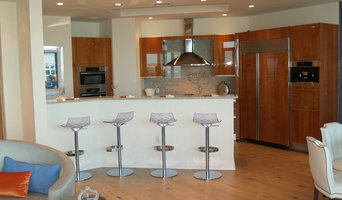 Our team of architects, engineers, and designers are licensed, professionally trained, and well experienced. They will create a customized plan for your project and carefully develop and implement designs that fit your style and budget. With our help, we know that you will love your newly renovated home! Contact us or call 703-435-2000 to see what we can do for you today! Floor Covering, Home Improvement, Kitchen and Bath. Carpetland has been providing quality flooring, service and professional installation in Springfield, Virginia and the surrounding areas since 1977. We feature all the quality name-brand flooring choices you know and trust. We carry a diverse selection of Carpet, Hardwood, Laminate, VCT, Sheet Vinyl, Ceramic, and Porcelain tiles for all your flooring and area rug needs. 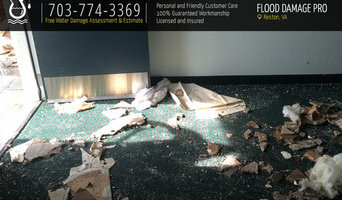 Thank you for choosing Potomac Carpet and Flooring for your flooring services. Potomac Carpet and Flooring is an established company whose main objective is to provide exceptional flooring products that compliment your home’s essence while giving you great value for your commitment. At Gaithersburg carpet store, we specialize in interior image development and provide distinctive flooring designs that guarantee satisfaction and quality to our customers. We focus on providing timely, cost effective and ecologically sound flooring solutions that turn your house into a home. Our team consists of competent and dedicated professionals with many years of experience in carpet and flooring specialty. They strongly believe that our success is only measured by our client’s fulfillment and they deliver unmatched services that make our clients excited to come back again. 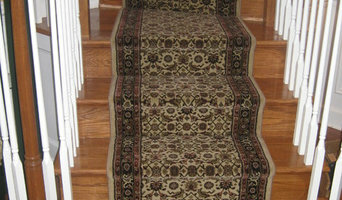 At Gaithersburg carpet store, innovation and consistency has made us who we are today and our steady growth over the years has made us a market leader in provision of outstanding carpet and flooring products and services beyond your expectations. With our experts experience in flooring, you can be confident that whatever your flooring or carpeting project demands, our experts will deliver it on time and budget! Georgetown Carpet provides a full range of services from the moment you walk in one of our showrooms to custom rugs to installation. Organic Dry-Carpet Cleaning is the premier carpet cleaning and upholstery cleaning company in Arlington VA and Surrounding areas.